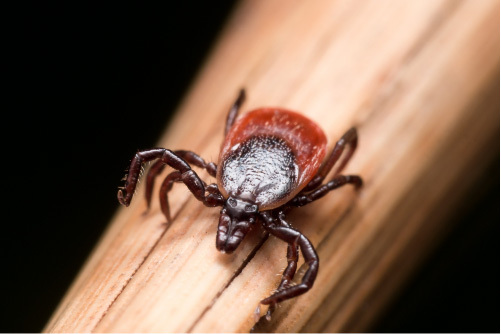 In this blog, Professor Patricia Nuttall discusses what makes ticks such effective vectors of pathogens and how we might prevent the spread of tick-borne diseases. Pat Nuttall is Emeritus Professor of Arbovirology in the Department of Zoology, University of Oxford. Her research interests are in the role of tick saliva in the transmission of tick-borne disease agents including viruses. She has been involved in the development of vaccines to control multiple tick species and tick-borne diseases, and in the use of novel tick saliva molecules as innovative therapeutics and reagents. After graduating with a degree in microbiology from Bristol University, Professor Nuttall undertook a Ph.D. in virology at the Institute of Animal Health, Compton. Her first post-doc position was in the Zoology Department of Oxford University, after which she joined the Natural Environment Research Council (NERC). 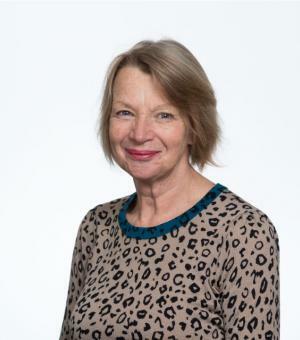 She was Director of NERC’s Institute of Virology & Environmental Microbiology in Oxford before becoming Director of NERC’s Centre for Ecology & Hydrology. She retired from NERC in 2013. Professor Nuttall is a Fellow of Wolfson College, Oxford, where she created Wolfson Innovate to promote entrepreneurism. She gave a TedxOxBridge talk on Drugs from Bugs. Distinctions include the Ivanovsky Medal for Virology in 1996 by the Russian Academy of Sciences, the Order of the British Empire given by Her Majesty Queen Elizabeth II in 2000 for services to environmental sciences, and the Harry Hoogstraal award from the American Society of Tropical Medicine & Hygiene in 2016. She was Vice President of the Royal Society of Tropical Medicine and Hygiene, and her research resulted in the first NERC spin-out company, Evolutec Ltd.
Ticks are not insects. In fact, they are related to spiders and scorpions and diverged from insects by roughly 500 million years of evolution. However, like mosquitoes, midges, sand flies and tsetse flies, ticks feed on blood. Blood-feeding provides opportunities for transmission of parasites and micro-organisms that may cause disease if transmitted to humans. Indeed, arthropod-borne pathogens are among the most common agents of infectious diseases in humans, causing malaria, dengue fever, yellow fever, leishmaniasis Japanese encephalitis, African trypanosomiasis, and many others. Although none of these diseases are caused by a tick-borne pathogen, ticks are second only to mosquitoes in their importance as vectors of human pathogens. Moreover, ticks transmit the greatest variety of pathogens of any arthropod vector, which may be viruses, bacteria, protozoa, or even certain helminths (microfilaria). The most important diseases in humans caused by tick-borne pathogens are Lyme borreliosis, tick-borne encephalitis (TBE), Crimean-Congo hemorrhagic disease (CCHF), severe fever with thrombocytopenia syndrome (SFTS), relapsing fever, Kyasanur forest disease, rickettsioses, anaplasmosis, and tularaemia. Of these, the most common is Lyme borreliosis caused by certain species of the bacterial spirochaete complex, Borrelia burgdorferi; approximately 300,000 cases are diagnosed in the United States each year . In Europe, TBE is the second most prevalent disease with 2,000-3,000 cases per year recorded since 2012 . Only 1.6% of reported cases were in immunised people, highlighting the effectiveness of the TBE virus vaccine. CCHF virus is the most pathogenic tick-borne pathogen with case fatality rates of up to 40%. Unlike most other tick-borne infections, CCHF virus can be transmitted directly from human to human and causes hospital-acquired infections. Most tick-borne pathogens are transmitted by ixodid (also known as ‘hard’) tick species. In temperate regions, Ixodes species such as I. scapularis (in North America), I. ricinus (in northern and central Europe), and I. persulcatus (in northern Asia) are major tick vectors of human pathogens. These are 3-host ticks with each blood-feeding stage – larva, nymph, adult – feeding on a different animal. Most infections in humans are contracted from the bite of infected nymphal Ixodes ticks. By contrast, adults of the species Hyalomma marginatum are often the primary vector of CCHF virus infections in humans. This species is a 2-host ticks with the larvae and nymphs both feeding on the same animal (often hares) while the adults feed on a different animal (often cattle). CCHF virus is the most geographically widespread tick-dependent arbovirus, occurring in hot and dry or semiarid parts of Africa, Asia, and Europe. Of the diseases associated with argasid tick-borne pathogens, the most important is relapsing fever cause by certain Borrelia spp. The disease is endemic in much of the Americas, the Mediterranean region, Central Asia, and throughout much of Africa. Relatively high fatality rates from tick-borne relapsing fever are associated with Borrelia duttoni infections. This borrelia species is transmitted by Ornithodoros moubata which infests traditional mud-walled houses in East Africa, feeding on the sleeping residents. What Makes Ticks So Effective? Why are ticks such efficient and effective vectors of human pathogens? A number of unusual features of ticks contribute to their remarkable success including characteristics of blood feeding, digestion, longevity, and oviposition. Ticks are haemorrhagic pool feeders, sawing through the epidermis and capillaries of the dermis with their chelicerae and sucking the fluids exuded into the wound. To ensure they are not dislodged during feeding, the hypostome of the mouthparts has backward pointing barbs. In addition, many ixodid species secrete cement that polymerises around the hypostome, acting as a holdfast and a gasket. No wonder it is so difficult to remove a feeding tick. Feeding of ixodid ticks takes a few days to two weeks depending on species and stage while argasid species are speedier, usually taking less than one hour. However, in one sitting an ixodid tick can take up more than 200 times its unfed body weight . This is gluttony on an unprecedented scale! Processing so much blood (several millilitres) over such a long period increases the likelihood of imbibing a pathogen when feeding on an infected animal. On the other hand, the relatively long duration of feeding gives time for any pathogen infecting the tick to be transmitted in saliva into the skin feeding site. This is helpful for the Lyme disease spirochaete which hangs around in the tick’s midgut until feeding commences before migrating to the salivary glands prior to transmission. One of the most important and unusual features ticks possess, and which clearly distinguishes them from the other arthropod vectors, is how they digest a blood meal. Except for haemolysis of the blood cells in the midgut lumen, digestion in ticks is entirely intracellular, a process known as heterophagy. All digestion is accomplished within epithelial cells of the midgut. Blood taken into the tick’s midgut remains largely undigested for long periods. Without the rapid infusion of acids and digestive enzymes into the lumen of the gut, the contents of the blood meal (including any pathogens taken up) remain within a benign environment. This may explain the remarkable diversity of pathogens transmitted by ticks including the controversial claim HIV can be transmitted by O. moubata . The undigested blood meal provides a food reserve and, except during egg-laying, is consumed gradually. As a result, ticks can survive for long periods without food. In fact, an Ornithodoros turicata, abandoned in the laboratory reportedly survived 7 years without feeding. Pathogens carried by starving ticks likewise can survive long periods. For example, viable relapsing fever spirochaetes were maintained by Ornithodoros ticks that only fed once over a period of 6½ years. Ticks can also survive extreme environments. They are protected from cold temperatures by anti-freeze proteins and against heat stress by heat shock proteins, dermal gland secretions, and a waxy epicuticle that restricts water loss. Tick survival for prolonged periods (even under adverse conditions) while maintaining infectivity contributes to their ability to act as efficient and effective reservoirs of pathogens. The ability of ticks to act as reservoirs is further enhanced by transovarial transmission, some tick-borne pathogens passing from the infected female to her eggs and then to the succeeding tick generation. However, although ticks (particularly ixodid species) produce thousands of eggs, rates of vertical transmission tend to be low (<1%). The low rates of vertical transmission possibly reflect evolutionary pressure to minimise any detrimental effects on the tick population. Tick-borne pathogens generally do no harm to their tick vectors. Low rates of vertical transmission can be amplified when emergent larvae feed together on a susceptible animal. Indeed, estimations of the basic reproduction number R0 indicate that pathogens such as TBE virus would not survive in the environment without the aid of co-feeding transmission: infected ticks feeding together with uninfected ticks on the same uninfected animal independent of development of a systemic infection in their host. Co-feeding transmission is the masterstroke of ticks as vectors. Its efficiency and effectiveness are mediated by saliva-assisted transmission . Basically, when ticks feed they (like other blood-suckers) secrete saliva that contains a wealth of bioactive molecules (proteins and non-peptidic molecules). These saliva molecules have evolved to counter the host responses to tick feeding: they control haemostasis, inflammation, immunity, and wound healing. Hundreds of such molecules are produced and secreted by a single tick. In fact, one notable researcher described ticks as “smart pharmacologists.” The future may even see some of these exciting molecules turned into therapeutic drugs. One such saliva protein, a complement and leukotriene B4 inhibitor derived from O. moubata, is being developed by Akari Therapeutics for treating orphan autoimmune and inflammatory diseases. How Do We Control Tick-Borne Pathogens? So how are ticks and tick-borne pathogens controlled? The most common method of control is treatment of target animals (livestock) by dipping them in baths of acaricide or using acaricide pour-ons. Vegetation control also helps. There is only one vaccine available for protecting humans against tick-borne pathogens – the TBE virus vaccine. A vaccine against cattle ticks has been commercially available since the early 1980’s and shows some protection against babesia infections. The hunt for suitable vaccine candidates is ongoing. The attraction of an anti-vector vaccine rather than a vaccine against a vector-borne pathogen is that, in theory at least, targeting the vector should provide some protection against all the pathogens transmitted by that particular vector. This concept has been taken up in the search for ways of anticipating the emergence of unexpected arboviral epidemics. Vector-borne pathogens contribute 17% of all communicable diseases in humans, causing 1 billion cases and 1 million deaths per year . A novel approach, currently being tested in a Phase I clinical trial, is to vaccinate against the mosquito vectors that carry some of these devastating diseases . The idea is that, by targeting the vector rather than the diverse and unpredictable pathogens they transmit, the transmission of vector-borne pathogens is blocked or at least mollified. Could such a strategy work for tick-borne pathogens? 4. Humphery-Smith, I., Donker, G., Turzo, A., Chastel, C., Schmidt-Mayerova, H., 1993. Evaluation of mechanical transmission of HIV by the African soft tick, Ornithodoros moubata. AIDS 7, 341–347. 5. Nuttall, P.A., 2019. Wonders of tick saliva. Ticks Tick. Borne. Dis. 10, 470–481.